With Carrichs stainless steel door sill plates you can add protection against scratches, chips, and scuffs to your door sills. The sweet high-end look they add is just an added bonus. Made from 304 stainless steel, you can be sure they have the durability to withstand all the forces of Mother Nature. These sill plates are not only durable, 304 stainless steel is extremely resistant to corrosion. Door sill protectors are a great way to dress up your vehicle's interior at an affordable price. The no-drill installation is so easy! Simply use the included automotive-grade adhesive tape to secure the sill plates. Carrich even includes an adhesion promoter to ensure a long-lasting bond between your new sill plate and the door frame. If you're looking for added protection to your vehicle that adds class without emptying your wallet, look no further. 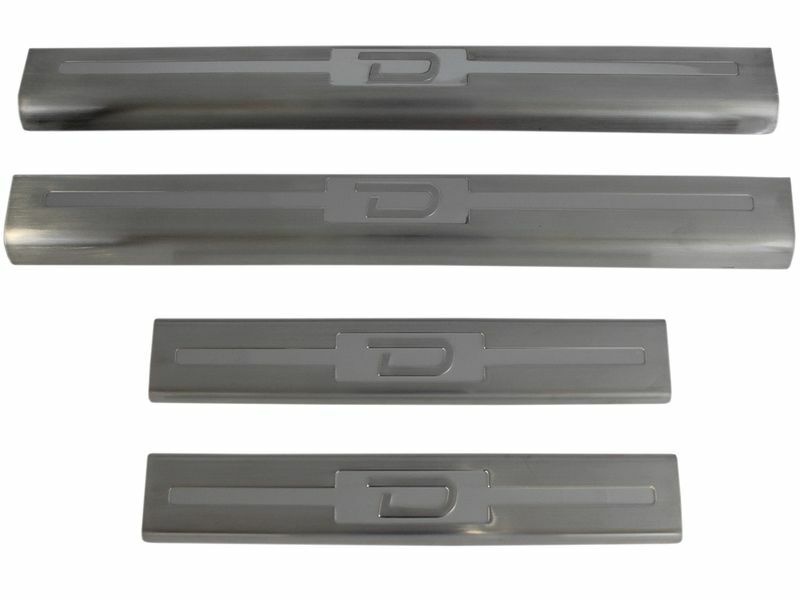 Carrichs stainless steel door sill plates are just what you're looking for! Top notch craftsmanship and quality make these sill plates a awesome addition to any ride! Door sill protectors from Carrichs install quickly and easily using pre-applied 3M automotive grade adhesive tape. An adhesion promoter is included to help create a long-lasting bond with your door sill. Give us a call if you have any questions or would like more information about how you can improve your ride's style. We're here 7 days a week to help you out.